The first time Draven Miltenberger played Tomb Raider was in 1999. He was three years old. His home life might have been tumultuous thanks to how often he moved, but that was his constant: Tomb Raider. "My family couldn't pry it out of my hands," he wrote in a blog post that described his love for the game. After reading it, I decided to reach out to him. "It hooked me instantly," Miltenberger, now seventeen, told me in an email. The abuse started a few years after he first found Lara Croft. First, it was with his dad. Then his dad left for the National Guard, but that didn't matter. His stepmother continued the abuse. "She was more vicious I think," Miltenberger told me in an email. Eventually she'd take him to a runaway shelter. He was still a kid. He managed to find his way back to his family, but from there, things started getting worse. He developed anger issues, developed depression. He couldn't get his dad out of his head. "Tenth grade was probably the worst year. I started drinking secretly, and even had a cutting [phase]. Also while I was in school there were so many rumors going around that I was gay...but they didn't use the kindest words to say so," he said. He dropped out, he started considering suicide. But then he started hearing news of the new Tomb Raider. He was always compelled by Lara as a "strong, independent woman." This time, what compelled him was the idea of being rebooted—of being reborn, if you will. The new Tomb Raider, after all, is a departure from earlier games; we see Lara like we never have before. She's hurt, she's bruised, she's vulnerable—and none of that stops her. It's easy to see how the game could inspire someone to be stronger. "I had tears welling up in my eyes the moment I opened that survival tin...to me Lara was this young, inexperienced woman who didn't know what she was doing, and that was like me," he explained to me. "When I [saw] her commit her first kill, I watched as she started crying. I had never seen that in a Tomb Raider before. I was shocked. But she picked herself up quickly, I loved that she had so much bravery especially when she was scared the most. Like Rhianna Pratchett [lead writer on Tomb Raider] said, "You can't have bravery without fear," he said. "Just because life had started off with a wreck doesn't mean I wouldn't survive it." "You can't have bravery without fear." On his blog, Miltenberger explained how Lara's journey affected him. "That kind of sat in my head, of how someone can start over...completely become a new human being who actually cared about things...cared about surviving." 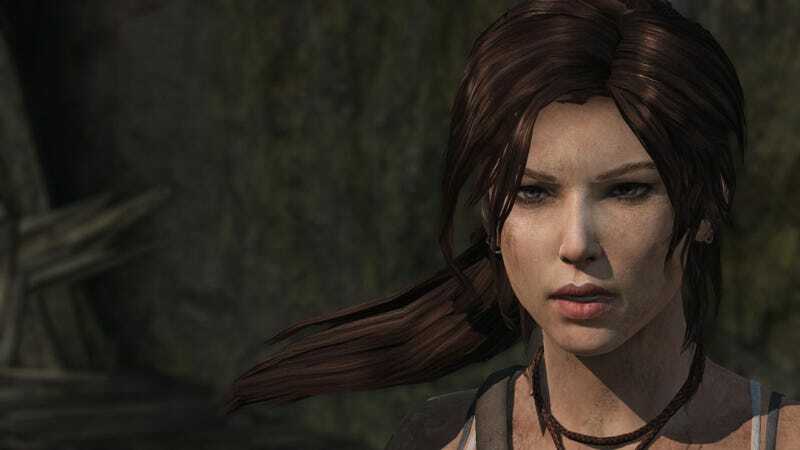 Something clicked—Tomb Raider, in its new form, came at exactly the right time. He resolved to stop drinking, to stop cutting, and he's process of getting his GED. He's also coming to terms with his sexuality. It's like a complete turn around. "Lara was my strength at times when I didn't feel like being strong," he explained. What next? His plan is to one day work for Crystal Dynamics—that's just how much the game means to him. "Lara had told me to 'Just keep moving.' Those words saved my life."